Found Footage: Amundsen and "At the Mountains of Madness"
One of the things I enjoy about Lovecraft's work is the way it relates to actual historical events. Lovecraft wasn't shy about acknowledging the things that inspired him, and things as diverse as the exploration of Angkor Wat and Ponape to the theories of Albert Einstein influenced his writing. The way he incorporates fragments of the real world into his stories helps make the fantastic more believable even today. 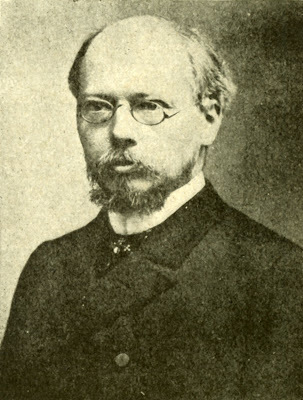 In the case of "At the Mountains of Madness" he used contemporary accounts of Arctic and Antarctic exploration to help fill in the details of the ill-fated Miskatonic expedition. In particular, Roald Amundsen's unsuccessful attempt to be the first to fly to the North Pole in 1925. ATMOM is filled with details drawn from the flight, from the way fuel was cached to the use of Dornier Wal's as the party's aircraft of choice. To an extent, I'm following in Lovecraft's footsteps with my own "From the Mountains of Madness" project. Accounts of the Amundsen expedition have been a valuable source for photographs, text, and documents in my attempt to recreate the historical record of the Miskatonic expedition to the Antarctic. That's why I was excited to discover that someone has uploaded video transfers of the old Pathe newsreels of the Amundsen adventure to YouTube. The quality isn't the best, but what can you expect from film that was shot over eighty years ago? I wanted to thank Aether Chronicles, a blog focusing on the steampunk community in Second Life, for adding me to their blogroll. Stop by to learn more about the Denizens of Caledon and their amazing airships. As an aside, I was surprised how much response the FAI pilot's license generated from the steampunk folks. If I have time I'll see about fiddling with the fonts to make a version that is a bit more genre appropriate. This is the first of the finished Dyer sketches. It was done by the incredibly talented Danny Cruz and I couldn't be happier with it. Click through for the higher res, CC licensed version. I'll be offering a larger version commercially, but you're free to use this one under the terms of the Creative Commons license found at the bottom of the page. Obviously, this is a bit of an experiment. I've been very happy with how my approach to open licensing has worked up to now, but I think this is a big step forward in, literally, putting my money where my mouth is. 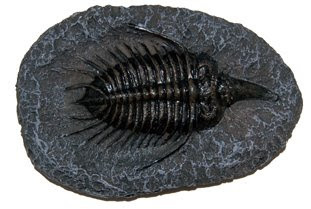 A kind emailer pointed me towards a treasure trove of fossil reproductions after reading of my inability to find affordable specimens for the "From the Mountains of Madness" project- Prehistoric Planet. Their larger pieces are pricy, but the small hydrostone and resin reproductions are very reasonable. 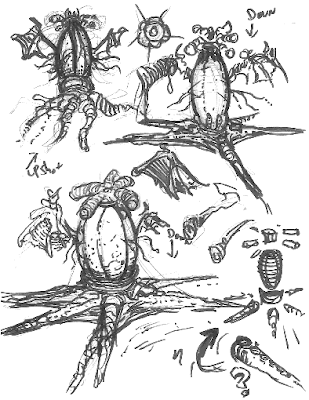 And few things are more Lovecraftian than critters with spiny, multi-segmented bodies. 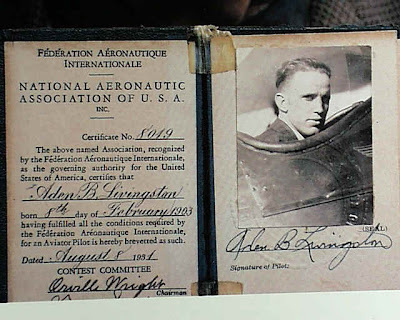 I have some running around to do this morning, but by tonight I should have the first draft of the period pilot's license finished. Once I get some feedback on it's accuracy and usefulness I'll take care of any final tweaks and post the final version. I'd also appreciate any suggestions you might have about switching to PDF's for prop documents like the license. I know JPG's are more convenient for the clip art type stuff, but I'm not sure how much of that actually gets used. If my logs are any indication the Miskatonic University logo is the only graphic that gets any significant traffic. Update: Okay, I made it just under the gun. I've tried to arrange the interior and cover so that they'll naturally align even if your printer automatically scales them down. Just print out the interior page and then re-feed it into the printer to print the cover. For reference, here is one of the source images I was working from. 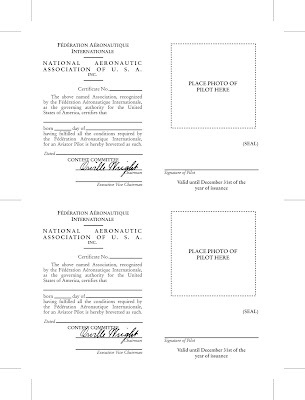 I had a few other shots of the FAI license from the 20's showing the picture area as 2" by 2", so I modified that half of the document to create a hybrid that should be reasonably accurate for any time between 1921 and 1931. The "Dated" line was left generic for that purpose as well. 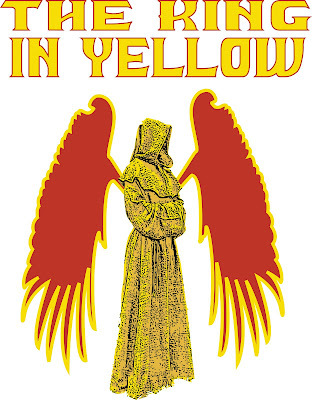 I'm not altogether happy with how this cover treatment for "The King in Yellow" came out, but it's not bad for a first pass. My illustration for the Hastur-tainted play is based on the first-edition cover of Chamber's collection of stories. I was going for an artsy look with the wings, a detail from the original illustration, but the more I look at it the less I like it. It's a lot less artsy and a whole lot more "Dude, haven't you ever heard of perspective? His wings aren't, like, attached to him." 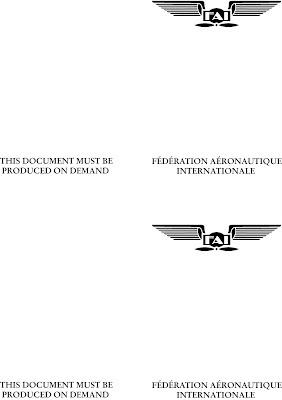 I'm trying to bang out a period international pilot's license, so I had to recreate the logo of the Fédération Aéronautique Internationale. Here are three different versions, including a colored one for letterhead and the line art and black and white versions for documents. Just click through for the high res pics. 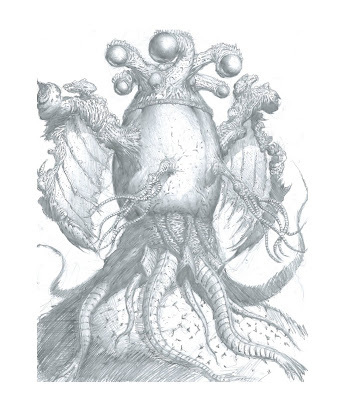 I've seen a few attempts to recreate the "Deep One" jewelry described in "The Shadow Over Innsmouth", but this is the first time I think the artist nailed it. This is an absolutely beautiful piece that captures the alien nature of the Deep Ones while still being aesthetically pleasing. 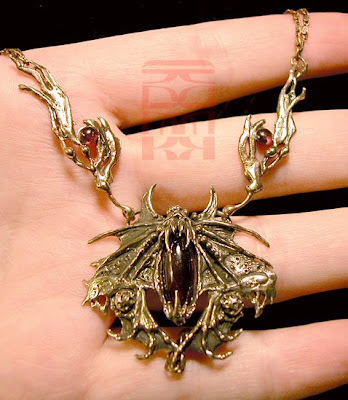 Browse around the gallery after the link and you'll find even more cool jewelry. Tonight I have a couple more period photos suitable for recycling into NPC portraits. Just click through for the high-res versions. 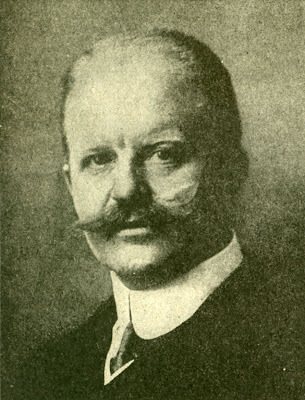 George von Hertling, former Bavarian Prime Minister and German Chancellor. I detect a touch of the Innsmouth look about him. The stunningly beautiful Queen Elizabeth of Belgium. I'll be recycling her as a troubled spiritualist who has caught a glimpse of the Mythos. Worse, it has caught a glimpse of her. A preview of things to come- the Dyer sketches from "At the Mountains of Madness"
A few more vintage photos from World War I today, with a focus on the big guns. As always, just click through for the high-res versions. 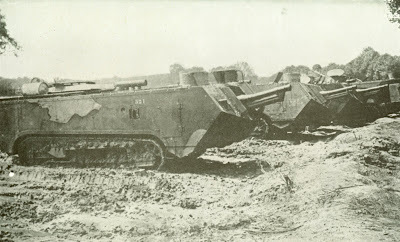 A battery of French St. Chamond tanks ready to roll into action. Whenever I see machines like this I get an urge to run an ultra-pulpy game with the characters fighting against the villain's plot to conquer the world. 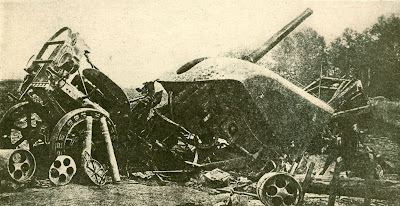 The wreckage of a German 88mm gun after a direct hit from French artillery. As an aside, a large percentage of "Call of Cthulhu" characters probably fought in the war, but the game itself rarely touches on it's impact. That seems a little odd considering that veterans of the war were the protagonists of some of his most intriguing stories, including "The Temple" and "Herbert West: Reanimator". It's not exactly "Call of Cthulhu" related, but if you're a fan of "Lost" you need to pay a visit to Max Pictures’ collection of Dharma Initiative labels. You'll find dozens of product labels for everything from DI bottled water to technical manuals. Come to think of it, maybe "Lost" is more Lovecraftian than I thought. After all, a shadowy organization conducting experiments with a massive Tillinghast resonator would explain everything that's happened on the show. Via Brass Goggles comes this album of wonderful props from Brassnbedlam. 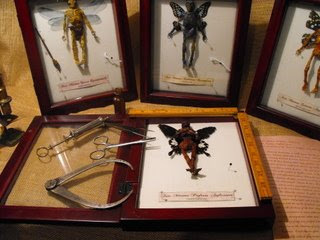 Is it wrong that I take an inordinate amount of delight from the dessicated corpses of fairies? 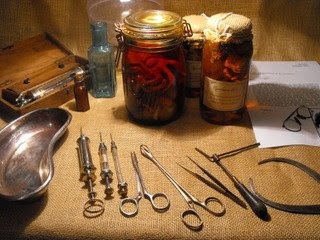 Or that any depiction of bottled specimens with vintage medical equipment makes me drool? The album also includes some steampunk jewelry designs, but that kind of thing really isn't my cup of tea. I'm just not a jewelry person. I'm not sure if it's a product of the economy, pent-up demand, or just because the stars are right, but there's a burst of very cool propmaking material online. Let the revolution begin! Rev. Marx at MRX Designs has posted an incredibly useful tutorial on the paper and glue faux-leather technique. He's added a few refinements to the basic process and the results are impressive. Over at Cephalopod Productions, Tommy Poirier-Morissette tackles the ever popular subject of aging paper and offers up some new approaches above and beyond tea-staining. While you're visiting both sites be sure to look around at their archives. They're a goldmine of material and resources. A new shipment of books that are in the public domain just arrived, so I'll be spending some time scanning and uploading photos that can be re-purposed for prop use. First up are portraits of some German officials from World War I, but you can obviously recycle them as any NPC you want. Just click through for the high-res versions. 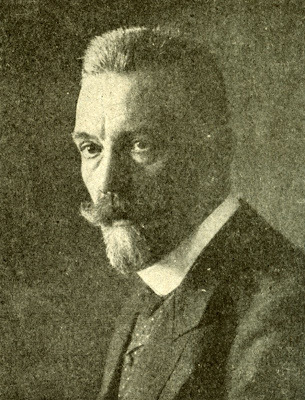 Alfred Zimmerman, the German Foreign Minister. I was going to say that his scar makes him look just like a pulp villain, but then I realized that he was probably the inspiration for the classic scarred, aristocratic German/Nazi archetype. 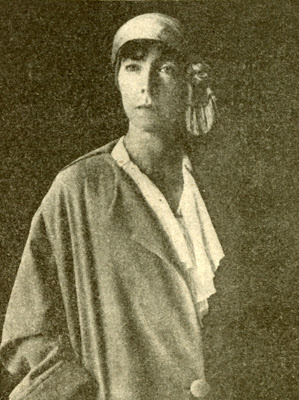 Bethman Hollweg, a member of the German War Board. One thing I noticed while scanning these photos is that they look better when they aren't converted to true black and white. That's subjective, of course, but I think from now on I'm not going to make any color corrections to the source material. That should produce better results for people that just want quick handouts while allowing folks that are more comfortable with photo manipulation to process images as they see fit. A kind emailer pointed out that Blogger appears to resizing some of my photos. For most of the props here it's not a problem, but the resolution of the Arkham postcard I linked to yesterday is seriously compromised by the reduction in size. I'm in the process of checking which pictures are impacted and what's exactly going on. As far as I know there isn't, or at least there wasn't, a limit on image size. You've probably noticed that things have been a bit quiet, but that doesn't mean nothing is going on. I've been working on a couple of things that, hopefully, will start to come to fruition by the end of this week. First on the agenda is a new run of the Miskatonic Antarctic expedition patches, since I'm down to a few lonely survivors of the batch from last November. I'm also in the process of hiring a real artist to start producing some items that are simply beyond my ability. If the person I'm talking with signs on and we can work out some details I think you'll enjoy some of the things coming your way. I'd also appreciate any feedback you might have about a couple of prop projects I've been considering. Here are some of the ideas I'm bouncing around, in no particular order. Arkham Police patch- I've been thinking about doing a run of these, but I'm not sure if there would be enough demand. The design would be based on period patches from around Massachusetts, particularly port cities like Salem and New Bedford. The final price would be around $5-$6. Arkham Postcard set- A collection of 5-10 postcards based on locations in Lovecraft's fictional town of Arkham. These would serve as both game props and as conventional postcards you could send to another Lovecraft fan, similar to the Arkham Train Station card. Price would run from $5-$10 depending on the number of cards I end up including. "Life in Arkham" prop set- 10-15 pieces of ephemera from Arkham including trolley and theater tickets, business cards, menus, trade cards, postcards, etc. The kind of things you would find cluttering up a junk drawer in your grandmother's house. I absolutely adore stuff like this, having collected real world ephemera for years, but I know it's not everyone's cup of tea. With a price under $10 does it sound like something you would be interested in? The Dyer Materials- The expedition patch and photo set are already part of this, but there are a few more items needed to complete the package- Dyer's sketches, a soapstone star stone, his actual manuscript, and secondary materials like maps, notes, and general ephemera. Most collectors can run off the manuscript themselves (by downloading the story, reformatting it with a decent typewriter font, and printing it out) so I'm going to concentrate on the paper goods first and then see about coming up with a decent design for the star stone. Again, to keep things affordable I want to keep each collection under $10. Please feel free to leave a comment or send me an email with your thoughts. 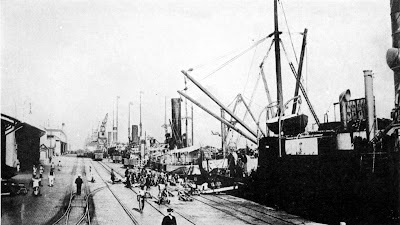 The bustling port of Lourenco Marquez in Portuguese East Africa in 1923. There aren't any identifying ship names or landmarks visible so it's appropriate for use as almost any dock in the world. Just click through for the high res version. A nitrate fertilizer dock in Chile. 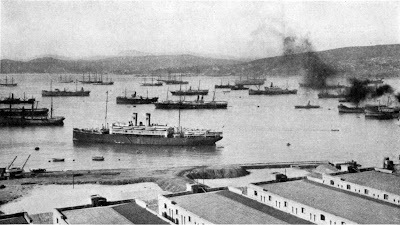 The ships in the foreground have coal-fired and diesel engines, but you can make out a few sailing ships in the background. Despite an unprecedented boom in post-war shipbuilding wooden-hulled schooners and clippers would still be making runs well into the 1930's. Again, just click through for the high res version. FriedGeek has posted the second segment of his time-lapsed Cthulhu sculpt. I like how the idol is coming together. It's always fascinated me to see the different ways sculptors interpret Cthulhu.